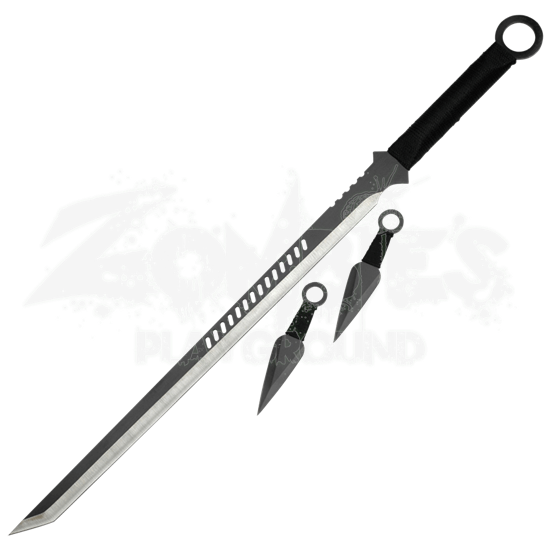 Keep the tradition of the Shinobi alive with the Single Edge Ninja Sword Set and get a traditional blade with modern styling. 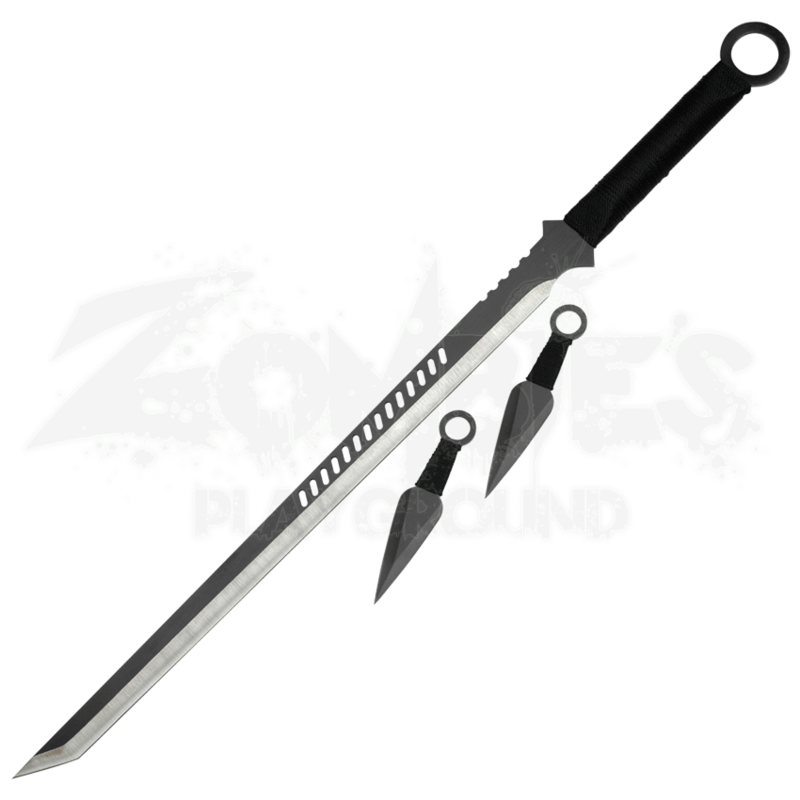 Constructed from stainless steel and packaged with two throwing knives, this is a great set for the modern shadow warrior. This item features a nylon sheath and strap for easy carry during those strenuous stealth situations. Get the Single Edge Ninja Sword Set and bring your fantasy to reality.